3 Day Xi'an and Luoyang Combination tour featuring the best of both cities! 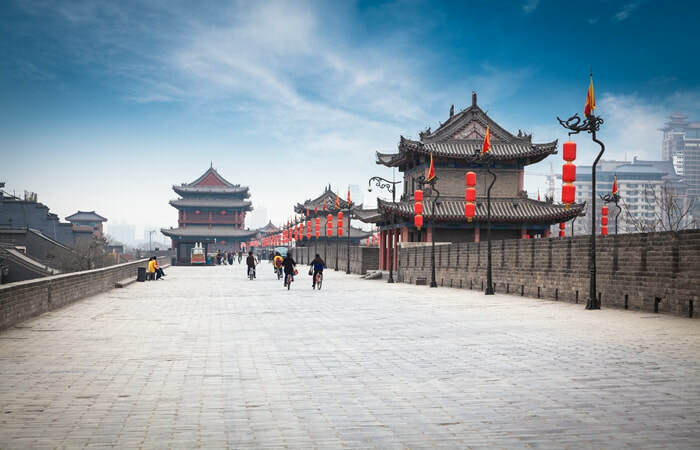 ​Join our team for this popular Xian 3 Day Tour including two days exploring the main highlights of Xi'an City (Terracotta Army, Pagodas, Muslim Quarter and more) and a day to the incredible Longmen Grottoes & Shaolin Temple at Luoyang. This tour is perfect for visitors who want to experience a Xian itinerary with an added day at Luoyang. Discover a traditional cave dwelling where farmers still live today! Please note, if you'd like to find out the latest pricing for our Xi'an Luoyang 3 Day Xi'an Tour, please contact us directly. In the morning, our tour guide and driver will meet you at your specific Xi'an Hotel Lobby. The tour is based upon a 9:00 am meeting time but being a private tour, timing is flexible so please advise your time preferences. 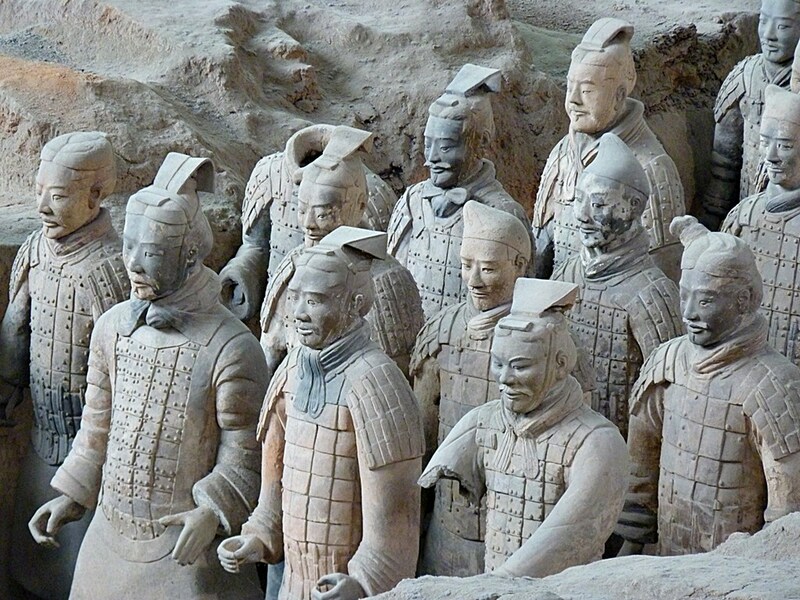 To begin the tour, we will depart for the Terracotta Army, which is located on the outskirts of Xi'an City. The Terracotta Army Museum, also widely known as the Terracotta Warriors, is a UNESCO heritage site and the 8th wonder of the world! 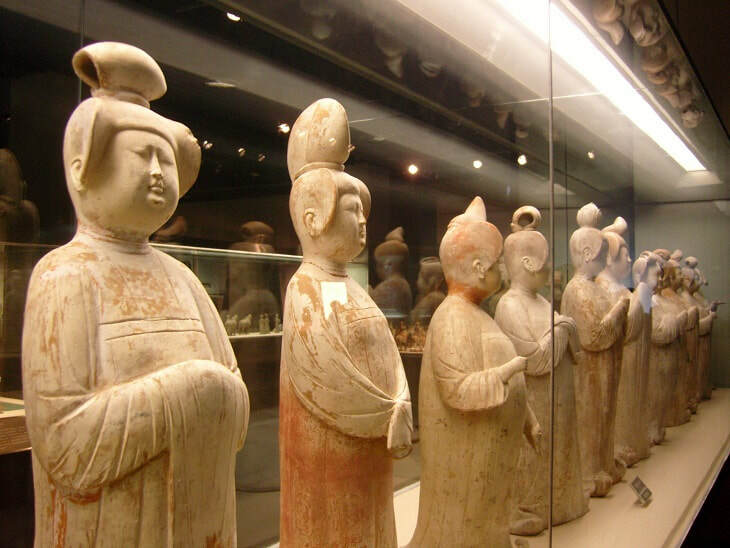 Inside the museum, there are thousands of Terracotta Warriors and Horses with a history dating back over 2,000 years. 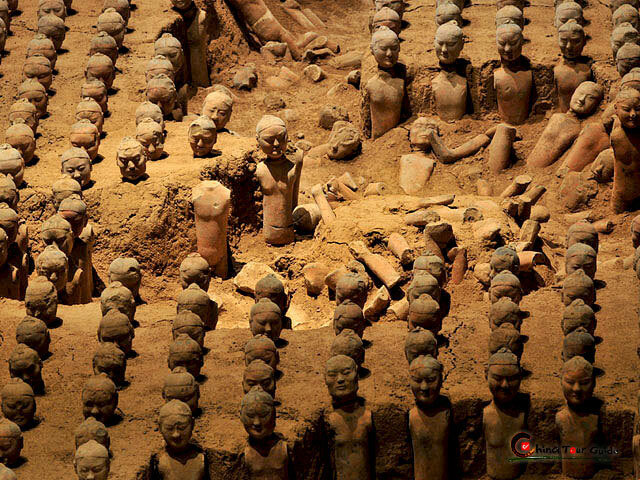 Visitors are amazed aback by the sheer size and number of the terracotta figures, making this visit one of the most famous in all of China. ​Following the visit to the Terracotta Army, the next destination is an ancient cave dwelling. 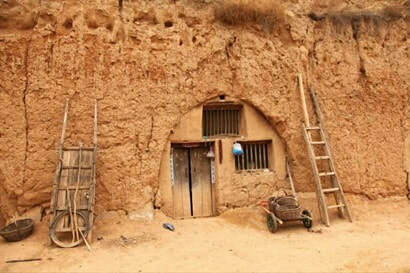 These ancient cave dwellings are a great insight for outsiders into traditional houses in the area. Nowadays, whilst less than in the past, people still do live here and most of the homes are carbed out of the side of mountains. Insulation is fantastic, ensuring warmth in winter and coolness during the summer months. Afterwards, enjoy lunch (this isn't included within the tour pricing) and your tour guide can assist you with lunch recommendations. In the afternoon, we'll visit and spend time atop Xi'an's City Wall. This incredible city wall is one of China's most famous, and has protected the city of Xi'an for over 600 years! The Xi'an City Wall is considered to be the the best preserved/most complete wall and still stands from China's long history. At over 12 meters high with a width of 12 - 14 meters across the top of the wall (and 15 - 18 meters at the base of the wall), it's large enough for visitors to specifically explore. ​The entire circumference and length of the city wall is approximately 13 kilometers in length and you have the option to either walk, cycle or take a shuttle (extra fee) to explore the top of the city wall! After visiting the Xi'an City Wall, the afternoon visit is to the Stele Forest Museum, in Xi'an. 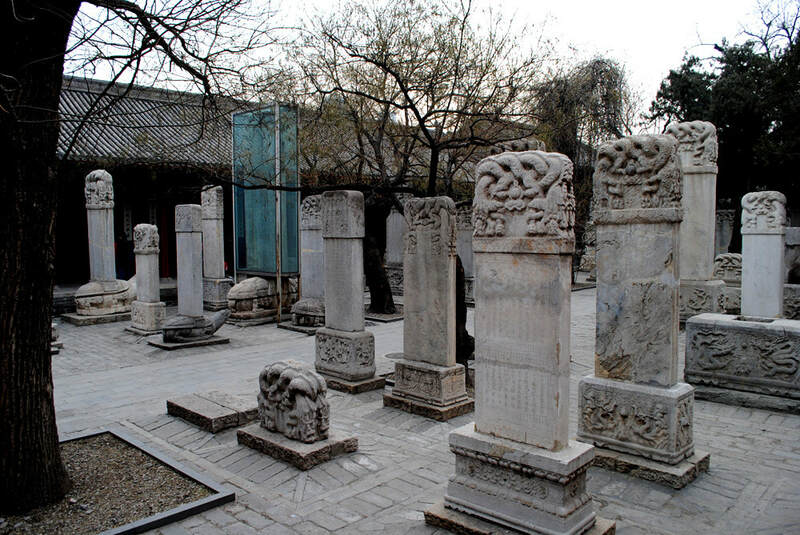 With a history of over 900 years, the Stele Forest Museum displays a number of different stone steles, epigraphs and sculptures dating back to different dynasties in China's long history. This museum provides a great insight into China's history whilst the inscriptions on the different sculptures are great to view, especially for people interested in Chinese calligraphy. In the late afternoon, following the visit to the Stele Forest Museum, you'll have a choice of optional evening activities that might or might be of interest. Either, you could join a Xi'an evening food tour (additional fee), watch the Tang Dynasty Night Show (additional fee) or be returned to your hotel after the Stele Forest Museum visit, to enjoy the evening at leisure. Please discuss directly with your tour guide during the tour. Return transfer to your Xi'an Hotel for the evening at leisure. To begin the second day of the tour, your tour guide and driver will meet you at your Xi'an Hotel at 9:00 am (time is flexible based upon your preferences). Thereafter, you'll travel to the Hangyangling Museum, which is also widely known and referred to as Jingdi's Tomb. The Hangyangling Museum is located near Xi'an Airport, which is approximately 30 kilometers north of the city. This burial site has a significant history - with the burial tombs of Emperor Jingdi and his wife, Empress Wangzhi dating back over 2,100 years. The Hangyangling Museum is the only underground museum in China and a great insight into Ancient Chinese history. Following the visit to the Hanyangling Museum, we'll stopover for lunch (not included) but our guide can provide you with recommendations depending upon your preferences. 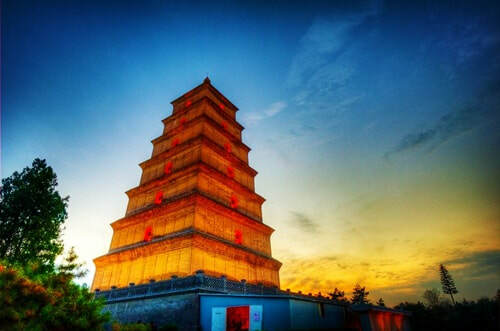 In the afternoon, visit the Big Wild Goose Pagoda, which is one of Xi'an famous ancient pagodas. ​Built during the Tang Dynasty period, the Big Wild Goose Pagoda is a Buddhis Temple with over 1,300 years of history. You'll explore the pagoda, learn some historical factories and famous stories about the Pagoda over the years from our tour guide. 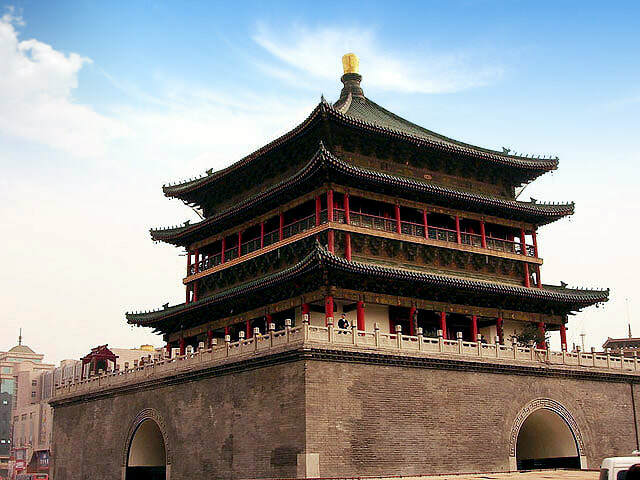 During the late afternoon, we'll explore Xi'ans Old City, which is where the Bell & Drum Tower is located. With a history of over 600 years, this is a great attraction to visit in the late afternoon. It's located in the center of Xi'an, only a short distance away from the Muslim Quarter. Afterwards, visit the Muslim Quarter, which is home to the large Muslim population living in Xi'an nowadays and throughout history. 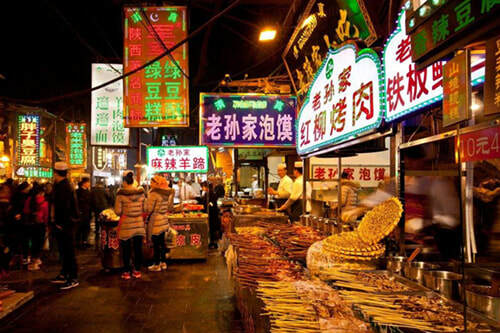 The Muslim Quarter is a great place to visit to taste authentic snacks and local delicacies, being the main 'food street' within Xi'an. Aside from food, there are also some authentic souvenirs at the night stands and the Muslim Quarter really comes to life during the evening. Following the day's activtiies, you'll be transferred back to your Xi'an Hotel to enjoy the remainder of the evening at leisure in your hotel. Today, the tour will start early as we need to take a high-speed train from Xi'an to Luoyang, which takes approximately 1.5 x hours. Your driver and guide will meet you at your Xi'an Hotel Lobby and transfer you to Xi'an North Railway Station to board the train. 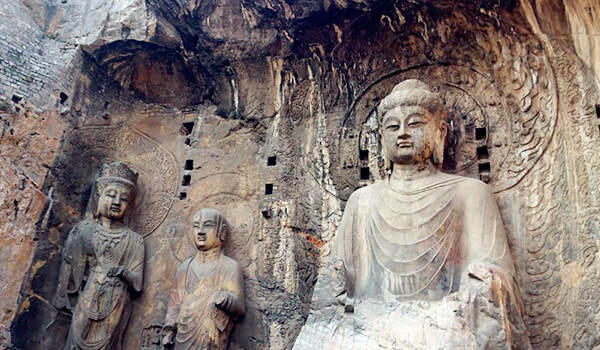 After arriving into Luoyang Longmen Railway Station, you'll be transfered to the famous Longmen Grottoes. 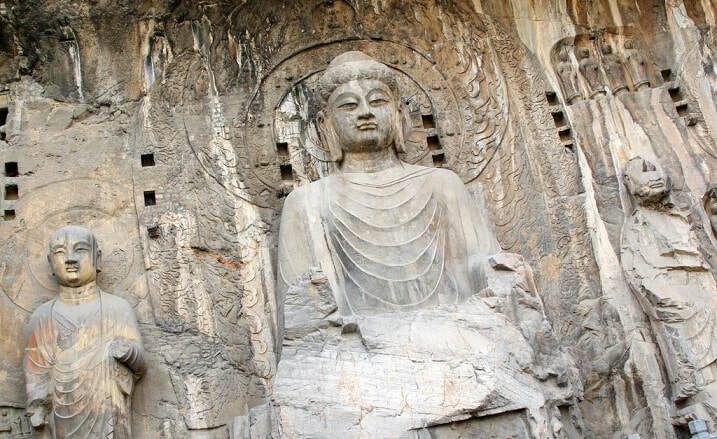 The Longmen Grottoes are a UNESCO world heritage site containing thousands of different statues of Buddha as well as Buddha's disciples. With a history dating back to the Northern Wei and Tang dynasties (from 316 - 907), the Longmen Grottoes are an incredible attraction and the highlight of this day. ​Afterwards, we'll enjoy a quick stopover for lunch (not included) before traveling to another one of China's famous temples - the Shaolin Temple. Reputed to be the 'Number One Temple Under the Heaven', the Shaolin Temple and its surrounding Pagoda Forest are also UNESCO World Heritage Sites. During the afternoon, we'll explore the temple, see a martial arts performance and learn about the history as well as significance of this temple. 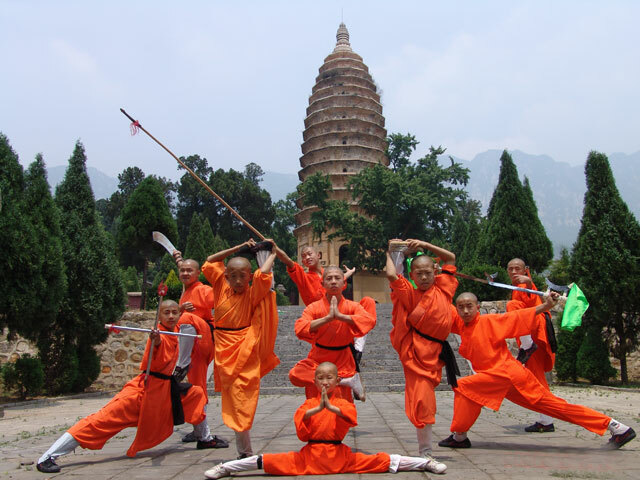 The Shaolin Temple is known worldwide as the home of Kung Fu and this is the best place to gain a greater understanding of this ancient Chinese martial art! Following the visit to Shaolin Temple, you'll be transferred back to Luoyang Longmen Railway Station to board your high-speed train to Xi'an. Upon arrival into Xi'an Railway Station, your private transfer will be waiting and transfer you to your Xi'an Hotel to conclude the tour. END OF TOUR.